Dr David Cooke, MD of Konica Minolta Australia. 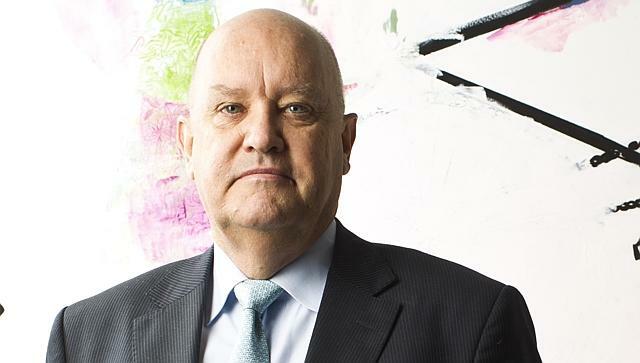 When Dr David Cooke was appointed managing director of Konica Minolta in Australia he was faced with a culture of strict hierarchy, strong silos and task oriented behavior. He realized this was the first thing that had to change. Why? Because the market for multifunction copiers and printers was changing. The market for these products was declining and the demand for outsourced solutions and services was emerging. The hardware was less important than it was in the past, customers just expected the devices to all work well and be built with high quality engineering. Quality products did not differentiate, customers wanted more, they wanted more sophisticated services and solutions to help them manage the costs of running their fleets and value add solutions that would streamline workflows and improve their operational effectiveness. These new market conditions required a more flexible, agile and collaborative culture that focused on the changing customer needs if Konica Minolta was to thrive in the future. So his vision of KMA as the “company that cares” for its customers and its community was a means to differentiate KMA from its large competitors, promote a unified company view of improved service and value for customers and one that he felt his staff could buy in to. His view was validated by a staff survey that benchmarked the level of customer-focused culture in the business by measuring market responsiveness on a 7 factor index. It showed that there was some work to do, but that staff were overwhelmingly ready for change, wanted transparency of information across the organization and expected the senior leadership to lead it and show the way. he moved into a glass fronted office next to the lunch room where he could wave or nod to his staff as they used this heavily used walk-way. David’s approach to creating a less hierarchical structure, sharing of financial results and customer successes across the business is leading to more engaged staff, better customer service and growth in revenues at a time when overall market revenue is declining. What’s the secret? Customer Focused Leadership – leaders that genuinely care about creating value for customers, the business and the communities that operate in. This entry was posted in Customer Centric Leadership, Customer Experience, Customer Value, Customer-Centricity, Empathy, Market Culture in Action, Strategic Alignment, Trust, Uncategorized and tagged customer culture, customer focused leadership, Customer-Centricity, david cooke, konica-minolta australia. Bookmark the permalink.